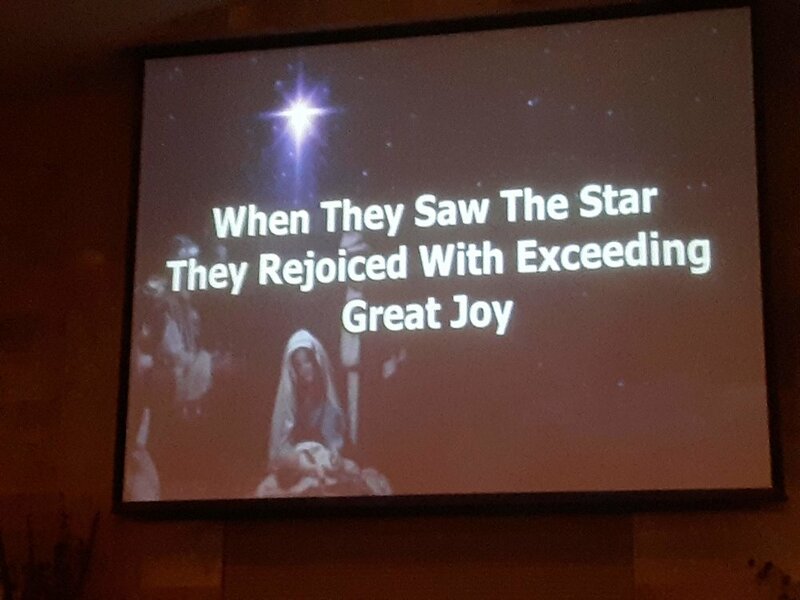 We had our annual Christmas Program this year. Attendance was awesome and you could feel the move of the Holy Ghost in the special singing. 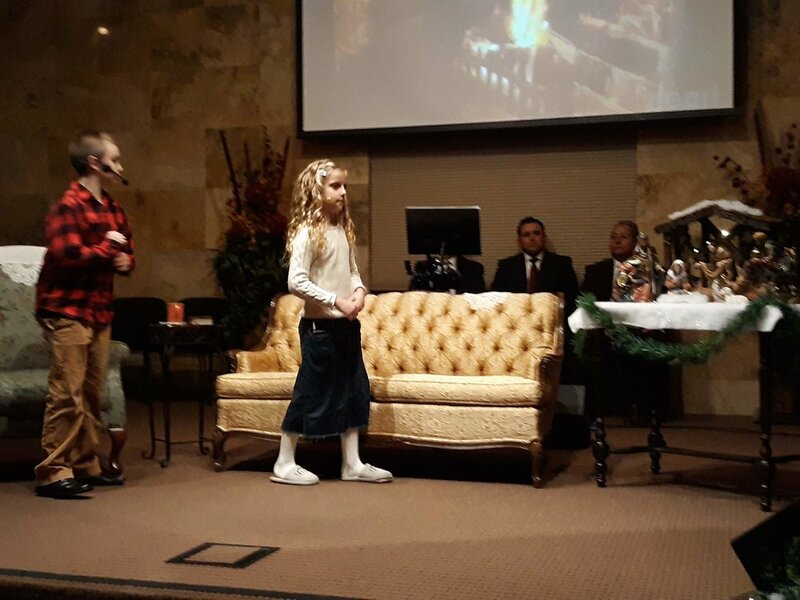 Starting out, our Sunday School Children sang “Where are you Christmas” with Dallas and Mandy taking center stage. Our trio of men - Bro. Mick, Bro. Raul and Bro. Nevarez sang “Look who just checked in” and our music department leader - Sis. Jennifer - sang “Mary did you know.”. With this song in mind, there couldn’t have been a dry eye. I was trying to take pictures while wiping the tears as she sang this song. “Look who just checked in.” sung by our trio, was a hand clapping song that just made your spirits lift up. As always, Church on the Rock strives to lift up the name of Jesus and proclaim the gospel to all who attend. After the program was over. Pastor Green gave a wonderful message and gave the plan of salvation to all who was in attendance. Thank you Pastor for your compassion to the lost. Sis. Jen at the rising rendition part of “Mary did you know?” The Holy Ghost anointing was felt in such a strong way. Thank you Jesus! “Grandma” finishes the Christmas Story and asks if Dallas and Mandy understand what Christmas is all about now? Sis. Jen listens as “Grandma” tells the children about the true meaning of Christmas. “Grandma” finishes telling Dallas and Mandy about the true meaning of Christmas.